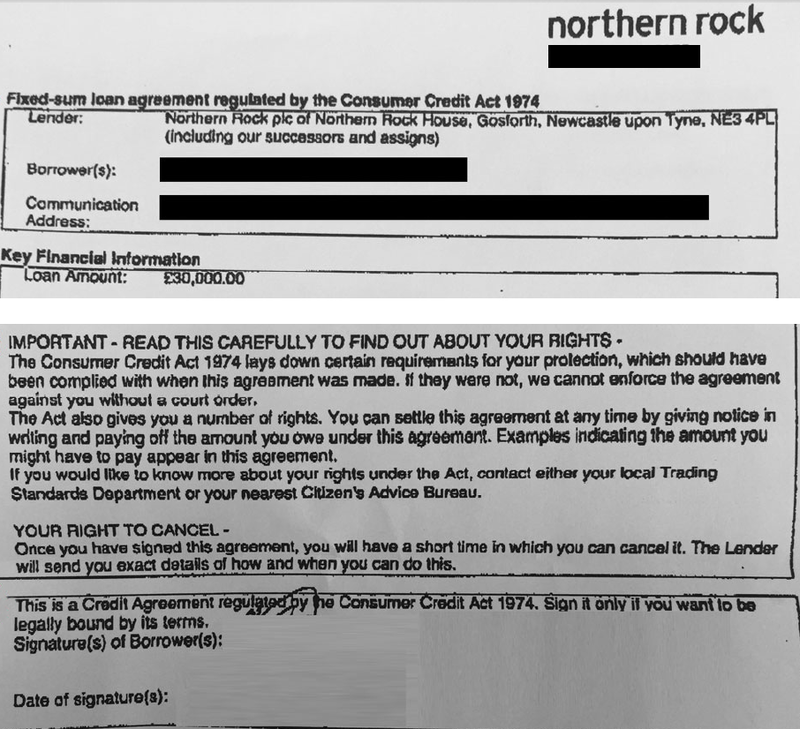 About 41,000 Northern Rock mortgage customers with unsecured loans of between £25,000 and £30,000 have been dealt a massive blow this morning, as the Court of Appeal has ruled they're not due redress for historic paperwork blunders. Customers of Northern Rock Asset Management (NRAM) – the state-owned remnant of failed lender Northern Rock – have fought a long-standing battle against the lender to claim their share of around £282 million (an original provision of £258 million was made but it has risen by £3 million in interest each month the case was ongoing). However, the Court of Appeal has today overturned an earlier decision in customers' favour made by a lower court, and ruled that NRAM does not need to pay redress over the mistakes made. It's a complicated issue, so we explain what's happened, and what this decision means below. What does the dispute relate to? The dispute relates to Northern Rock's 'Together Mortgage' taken out between 1999 and April 2008, which allowed customers to borrow up to 95% of the value of their home on a secured basis, as well as take out an unsecured loan of up to 30% of the value of their home, capped at £30,000. It also covers some NRAM Lifetime Mortgage customers. In both cases, NRAM breached regulations by failing to disclose loan details on documents, rendering interest charges unenforceable. It also incorrectly told customers that unsecured loans of £25,000+ were covered by the Consumer Credit Act – when in fact the CCA only covered loans taken out before 6 April 2008 of £25,000 or less (this limit was removed by the 2006 CCA) – and that therefore those with loans between £25,000 and £30,000 were not entitled to redress. However, NRAM has used this argument to its advantage, claiming refunds of interest charges in relation to its original failure to outline the initial loan on customers' statements are not due, as the loans are not regulated by the CCA. The letter below shows Northern Rock incorrectly stating that loans of up to £30,000 were covered by the CCA. What's led to today's decision? In 2012 the paperwork blunder first came to light, according to NRAM. In the spring of 2013, borrowers with loans of less than £25,000 received redress as their loans are covered by the CCA – see the Northern Rock pays £270m to 150,000 MSE News story. Redress wasn't granted to those with loans of between £25,000 and £30,000. In November 2014, NRAM brought the case to the High Court itself to test whether customers with loans of between £25,000 and £30,000 were owed a refund after it received 277 customer complaints about the issue. In December 2014, the High Court told NRAM it would have to pay £258 million in refunded interest to 41,000 borrowers. But in April this year, NRAM appealed against the High Court judgment and argued that as the CCA only applied to unsecured loans of up to £25,000 (despite mistakenly telling customers that loans of up to £30,000 were covered), redress should only be given to customers who borrowed £25,000 or less. Today, 23 July 2015, the Court of Appeal ruled in favour of NRAM and said customers are not entitled to redress. We've contacted the solicitors representing NRAM customers to see if they are able to – and if in deed they will be – appealing the decision at the highest court in the UK, the Supreme Court. However, they say they can't comment on the case. NRAM says that in relation to any further legal activity, it cannot comment on behalf of the NRAM customer representatives, and adds that it has no plans to take the case to the Supreme Court itself for ultimate clarification. An NRAM spokesperson says: "NRAM brought this case to the High Court to clarify the legal position and ensure the correct outcome for both customers and taxpayers. Having received the judgement of the Court of Appeal we consider this matter to be resolved." We've also asked NRAM for confirmation on when the issue first came to light, but it says it is not commenting on the matter any further. We have pushed it on why it won't comment, but have yet to receive a response. In the meantime, NRAM says customers' accounts will continue to operate as normal. So if your loan is outstanding, you'll need to continue to make repayments. Unfortunately, as the case has been decided on by the High Court, the Financial Ombudsman Service is unable to overturn its decision and can't recommend redress for complaints specifically related to compensation and the situation the court has ruled on. However, if you're worried about other aspects of your loans, or think your situation falls outside that of the issue ruled on, you can still take your complaint to the Financial Ombudsman Service. Richard Banks, chief executive officer of UKAR, of which NRAM is a part of, says: "NRAM is committed to acting in full accordance with the law and to treating customers and taxpayers fairly. "For this reason, we sought clarification of the law by conducting a case in the High Court and subsequently the Court of Appeal. "The Court of Appeal ruled in favour of NRAM, confirming that customers who took out unsecured loans of more than £25,000 under agreements that incorrectly stated these loans were regulated under the CCA, are not entitled to the same rights and remedies as those customers who took out loans that were regulated under the CCA."